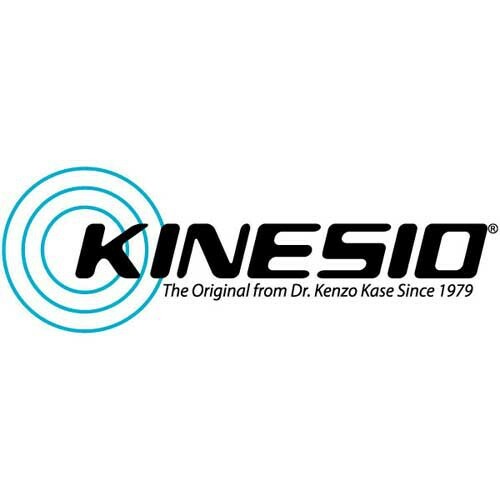 Kinesio tape has become a popular therapy over the past decade. This therapy has been used by Olympic athletes, professional athletes, physical therapist and chiropractors to relieve pain and support. Many people on the sidelines have seen these therapies in use with their friends, athletic competitions on TV, or in other ways. Some have attempted to use these therapies upon themselves with varying success. 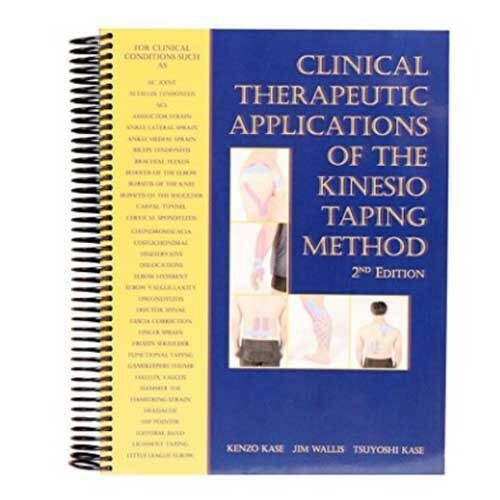 Taping therapies using Kinesio tape are detailed with illustrations in these books and manuals. Now you no longer have to guess the correct taping procedures for an effective therapy. You can use the same manuals that the professionals use. Below are short summaries of each manual to help you determine which therapy manuals would best meet your needs. 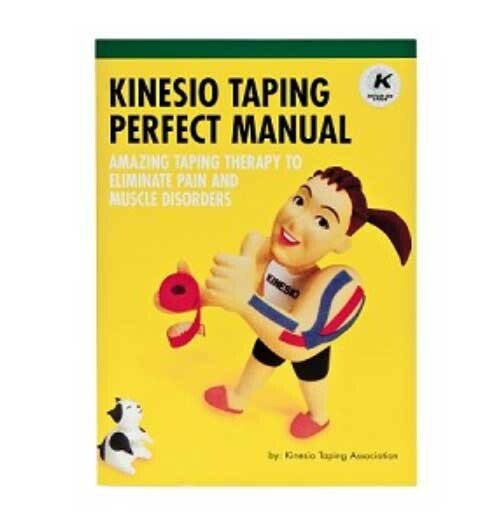 This manual covers taping essentials and gives you a step-by-step guide to the proper Kinesio Taping® Method. Illustrations provide a detailed look at how to apply the tape and where the applications should take place. There are 3 chapters with the following titles: Shoulder Girdle, Trunk, and Pelvic Girdle. Each chapter has numerous sections on topics such as Lower Trapezius, Hamstrings, Sciatic Nerve Tape, and Pectoralis Major. This manual focuses on new users and discusses common clinical conditions with easy-to-follow instructions. Among the many conditions covered, these are a representative few: Headaches, Rotation Pain, Nasal Congestion, Carpal Tunnel Syndrome, Shoulder Dislocation, Menstrual Cramps, Asthma, Low Back Strain, and Spasms. This book provides detailed instructions on a wide variety of injuries and medical conditions. A table of contents list the body parts for taping to help you quickly find the section you need. A step-by-step process is detail within the pages along with color photographs to help you get it right. 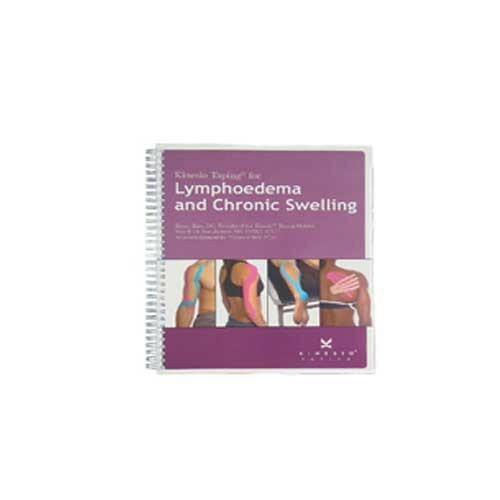 This is a comprehensive, technical manual designed for use by medical practitioners and others who have an extensive background and training with anatomy. The manual uses medical terminology. 10 x 6 x 1 Inch dimensions. Focusing on the treatment of inflammation, this manual is divided into 7 chapters, covering in detail how to treat various swelling situations. The manual also covers basic taping techniques for common injuries. The book is colorfully illustrated, with simple, step-by-step, instructions. It is designed for people who are experienced professionals or who have been trained in taping methods. 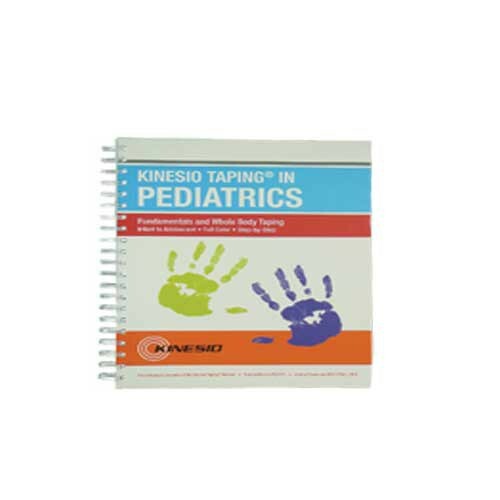 Written in a user-friendly format that includes numerous color photos to show how to properly apply taping therapy in pediatric applications. It covers children from infancy to adolescence. The manual is written for medical practitioners, therapist and others who have a good understanding of anatomy and medical terminology. 8.5 x 11 Inch, Softcover, Spiral Bound. 218 pages with color photos. 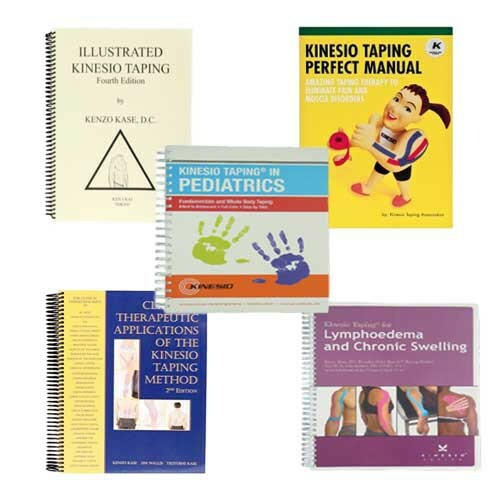 Vitality Medical carries several different version of Kinesio Tape products found illustrated in these books, including the TEX Gold FP, TEX Classic, and TEX Performance+.